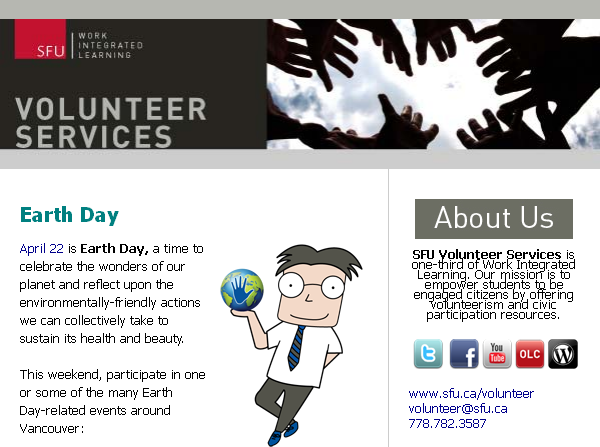 During the 2011-2012 academic semester, I completed two Co-op work terms with SFU Volunteer Services. 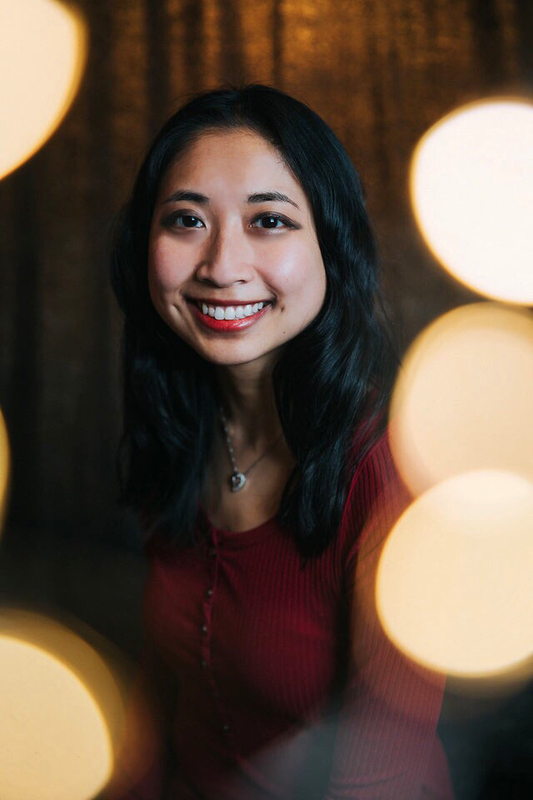 Throughout those eight months, I acquired many new skills (in the areas of Event Planning, Design, Social Media, and Marketing) and discovered a lot about myself, as a worker, as a student, as a team player, as a leader, and as an individual. Career concepts such as chaos theory, happenstances, making mistakes, and the fact that ‘there is no plan’ have significantly changed the way I think about work and life in general. Perhaps the most important lesson that I’ve learned through Co-op is to embrace your unique qualities and try new things with an open mind and optimistic attitude, because you never know where life will take you next! Volunteer. Lead. Do Something. Make a Difference. Change the World. YOU CAN. Have Big Dreams? Jump start into a Big future at the Big Fair! 3 Days, 3 Great Fairs in One! For the first time ever, the Volunteer Fair, Career Fair and Graduate Fair are combining into one Big Fair. From the 27th to the 29th, this on-campus event will give students the chance to network with and gain information on career positions, graduate studies, and volunteer experience from over 120 exhibitors. The Volunteer and Community Engagement Fair, hosted by SFU Volunteer Services and their partner, Volunteer Burnaby, will be held at the Burnaby Campus in AQ South on September 28th and 29th from 11am-3pm. Over 45 non-profit organizations will be in attendance to inform students about their causes and how they can get involved. Check out the ENGAGE blog for more information on the Volunteer and Community Engagement Fair. As well, visit the Big Fair website to find out more about and register for the three-day event. CELEBRATE PINKTOBER – October is National Breast Cancer Awareness Month, a month devoted to bringing attention to the importance of early breast cancer detection and to supporting all those affected by this disease. Many great organizations offer ways for volunteers to make a difference with this cause, including the Canadian Cancer Society, BC Cancer Foundation and SFU’s Club for the Cure. Unite in the fight to combat Cancer! Organization of the Week: With a philosophy of “fun, friendship and adventure,” Girl Guides of Canada offers diverse, bold, fun and energetic programs and activities, giving girls the opportunities they need to learn, grow and discover. And you’ve gotta love those Chocolatey Mint cookies! HELP THE CHILDREN THIS HALLOWEEN! – Halloween is creeping up, which means that it’s almost time to dress up in creative costumes in celebration of the haunting holiday! October 31st is also National UNICEF Day. The child-focused humanitarian agency is collecting donations to provide kids around the world with their rights to health, education, equality, and protection. Be on the lookout for trick-or-treaters carrying the ironic orange boxes and discover other ways to support UNICEF through the SFU UNICEF Club. As well, there are a number of charitable initiatives dedicated to providing relief for children struggling with hunger during this season of harvest, including Free the Children’s Halloween for Hunger campaign, From Hunger to Hope, and CHF (Canadian Hunger Foundation). From spreading awareness to fundraising, these organizations offer many opportunities for students to get involved. Organization of the Week: Schools Building Schools (SBS) is a student-led, charitable initiative dedicated to providing funds and resources for the construction of vocational schools in rural Uganda. SBS strongly believes that “education is not preparation for life; education is life itself. There are many ways to commemorate those courageous men and women this Remembrance Day. Take part in the moment of silence. Purchase a poppy and wear it with pride. Contribute to “How Will You Remember? “, an interactive campaign which encourages Canadians to submit creative projects in tribute of our soldiers. For a list of upcoming events for Veterans’ Week and Remembrance Day ceremonies, see the Veterans Affairs Canada website. Make remembrance more than something you feel. Make it something you do. Organization of the Week: Media Democracy Days, a partnership project between SFU School of Communication, OpenMedia.ca, and the Vancouver Public Library, is a three day event (November 11-13) that looks at how democracy in the media can be reformed. The project encourages Canadians to QUESTION the media landscape, CREATE alternatives, and CHANGE the system for the better. See their website for info. GET YOUR VOTE ON THIS WEEKEND! – This Saturday, British Columbians will be at the polls for the municipal elections. It is time to make our voices heard about the issues we want represented in our communities! For more on the importance of participating in the elections and why your vote matters, see the ENGAGE blog. In addition to casting a ballot, you can support the elections by serving as a volunteer. For instance, join Get Your Vote On’s Street Activation Squad on the big day See Symplicity for further details on the available positions. Get Your Vote On is determined to make voting fun, interesting and worthwhile for eligible youth by by using cutting edge media tools, organizing outreach events, and hitting the streets. As their mantra states, “the world is run by those who show up.” In the 2005 BC Provincial Election, GYVO registered over 20,000 new voters, which was the first increase in youth voter turn-out since the 1970s. Follow Get Your Vote On on Twitter and Facebook. Apathy is Boring is a national non-partisan project that aims to use art, media and technology to educate Canadian youth about democracy and encourage them to become active citizens in their communities. Before heading to the polls, check out their comprehensive step-by-step guide on How To Vote in British Columbia Municipal Elections. Follow Apathy is Boring on Twitter and Facebook. DO SOMETHING FOR AIDS AWARENESS! – December 1 is World AIDS Awareness Day, a day intended to raise awareness of HIV/AIDS-related issues and to inspire a call to action on a global scale. Volunteer with organizations such as the student-driven AIDS Awareness Network at SFU (you can follow them on Twitter and Facebook) and AIDS Vancouver. Equip yourself with important knowledge on HIV/AIDS. Some informative websites to check out include World AIDS Day, World AIDS Campaign, UNAIDS and the Canadian AIDS Society. Sport a red ribbon as a symbol of support for and solidarity with people living with HIV/AIDS. Spread the word about HIV/AIDS by initiating the discussion through writing (like this World AIDS Day article from one of our ENGAGE blog writers), talking and acting aware. HAPPY HOLIDAYS FROM VOLUNTEER SERVICES! – It’s the most busiest time of the year! With final projects and exams looming over us, it becomes quite the challenge to get everything ready for the holidays, especially when it comes to checking off items on your gift lists! This season, sponsor an alternative gifting program that will make a difference in the lives of children, families and communities in need. Examples of such programs include Oxfam Unwrapped, UNICEF’s Survival Gifts campaign and United Way ‘s Imagine Gifts project. As well, offering donations to your local Christmas Bureaus and Food Banks will help to make the season brighter for many members of our communities! Finally, as December begins to wind down, we reflect on the moments that made 2011 a momumental year. Through it all, one theme remains constant: In times of celebration, advocacy, and tragedy, the power of people coming together for a worthy cause is a truly inspiring phenomenon to witness! Organization of the Week: This holiday season, give the Gift of Change by supporting Oxfam Unwrapped, an online alternative gifting program that offers a selection of life-changing gifts to help developing communities gain greater self-sufficiency. For more information on the campaign, read ENGAGE. NEW YEAR, NEW OPPORTUNITIES – Happy New Year, Volunteers! We hope that the Spring semester has gone off to a great start. 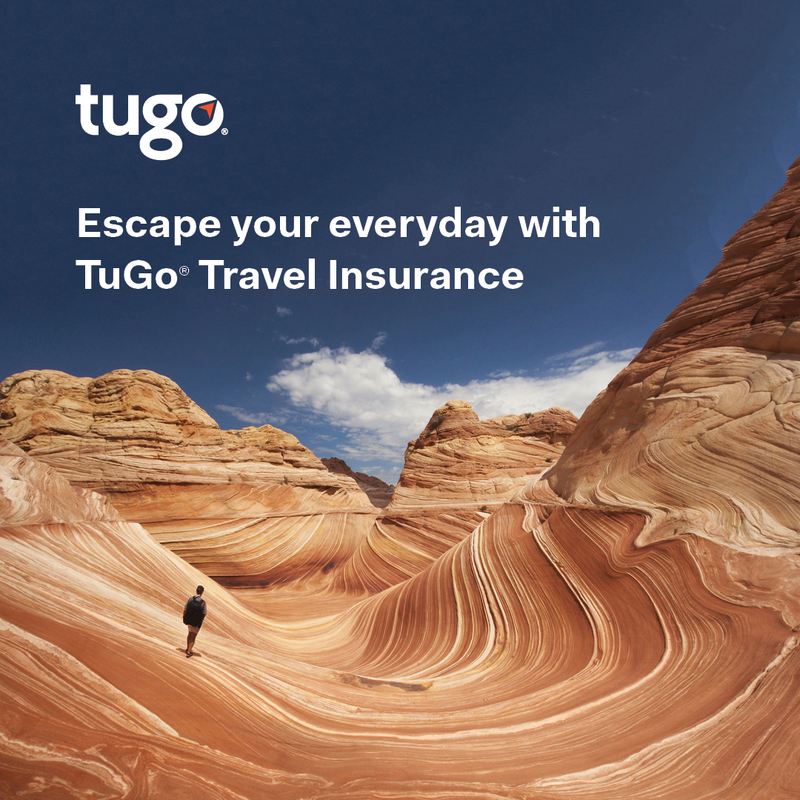 In 2012, we resolve to work even harder with at our mission of helping you find opportunities that will allow you to gain valuable experiences, find your passion, and make a difference. Passport to Leadership is your first step towards being a leader on campus and beyond! Gain transferable skills, learn about involvement opportunities and receive a letter of recognition upon successful completion of the program. Register for the info session on January 16th to find out more about the program. Sessions start January 23. Student Services‘ annual Tips & Tricks for Student Leaders event is taking place on Wednesday, January 25 from 11:30am to 1:30pm at Saywell Hall Atrium (Burnaby). 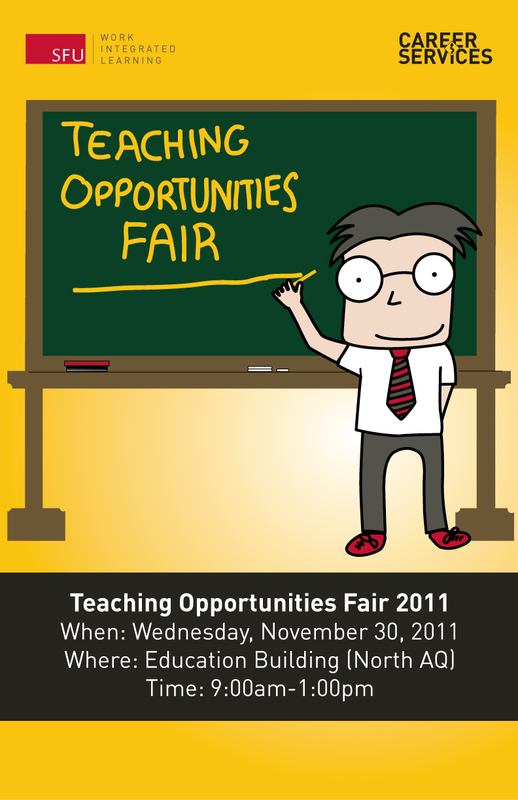 It is a one-day event tp promote services and opportunities that students can get involved with at SFU. Read more about the event on the ENGAGE blog. Introducing… the ENGAGE Blog Writers for 2012! They have resolved to provide their unique insights on great opportunities, important issues, and what inspires them as active volunteers in their communities throughout the year! Looking to explore career opportunities in non-profit organizations? 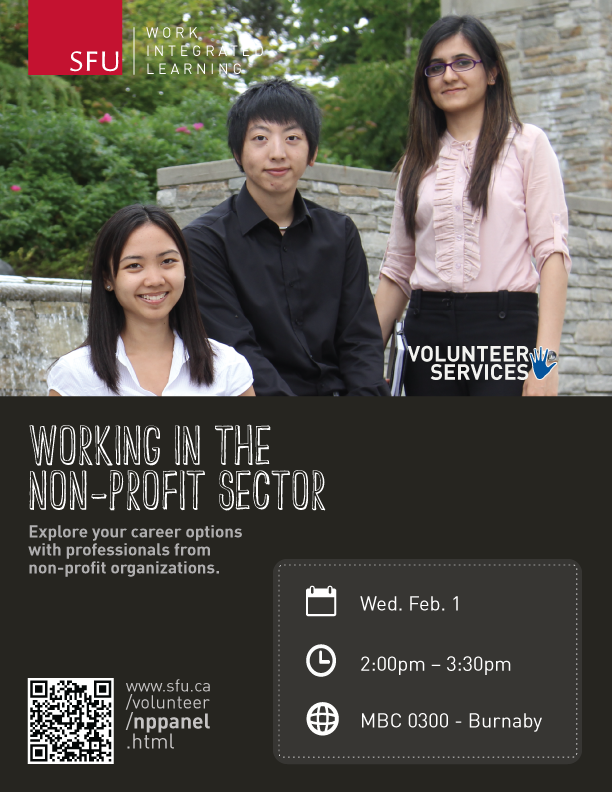 On February 1 from 2:00pm-3:30pm, join us for our Working in the Non-Profit Sector panel, an engaging session that will allow you to connect with, pose questions to, and learn from people who are currently working in the non-profit sector! We are bringing together a variety of speakers to engage in conversation with SFU students and share their personal stories of their journey in the non-profit sector. They will discuss their careers in non-profit organizations, the differences between employment in the non-profit sector and private sector, how to get your foot in the door, volunteer engagement, and more. The panel consists individuals with a wealth of knowledge and experience in fields such as environment, health, and media. Organizations confirmed so far include Sustainable SFU, Canadian Cancer Society, and Gen Why Media Project. Bios of our speakers can be found on our website. Register for the event now on Symplicity! FEBRUARY IS HEART MONTH – Did you know that heart disease and stroke claims 1 in 3 Canadians before their time? This February, the Heart and Stroke Foundation is committed to challenging the alarming statistics. Heart Month is a campaign that aims to mobilize Canadians to raise awareness for this deadly disease and to raise funds for research, education, and advocacy programs that will help save countless lives. To get involved in the canvassing initiative, visit the website. As well, the Heart and Stroke Foundation’s School Program is looking for volunteers in the roles of Ambassador, Event Support, and Administrative Support. Wondering how all the volunteer work you’re doing (or considering doing) will help you find a job after graduation? 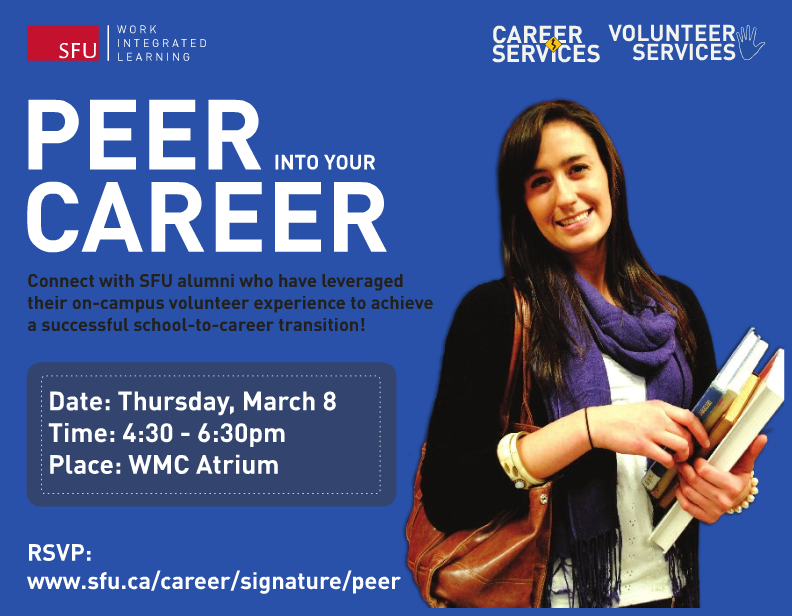 If you want to know how you can best prepare for life after university, don’t miss your chance to connect with SFU alumni who can provide you with practical advice on how to achieve a successful school-to-career transition. Register on Symplicity! NATIONAL VOLUNTEER WEEK – April 15th to 21st is National Volunteer Week, Canada’s largest celebration of volunteerism, civic participation, and community engagement! It is a week to pay tribute to the millions of Canadian volunteers who generously donate their time and energy to help lead positive change. According to a new statistic from Volunteer Canada, there are now 13.3 million Canadian volunteers, contributing a total of 2.1 billion hours! Watch “Passion. Action. Impact.“, a video tribute to volunteers from coast to coast.